​Welcome! I am a newborn photographer specializing in artistic baby photography using natural and studio light for maternity, newborn, baby, and birth story photography the Inland Empire Area of Southern California. ​Photographing your new little one is such a joy! I love capturing your precious memories in a way that only I can see them through my camera. Especially your newborn's chubby cheeks and tiny toes. These moments are fleeting. I am blessed to be able to capture them. Your little one's safety is so important to me! I have been specifically trained in the art of posing and safe handling of newborns to ensure that your baby is safe during our session. My training, education, and experience with my own three children allow me to feel completely comfortable holding and calming your precious baby during their photoshoot. 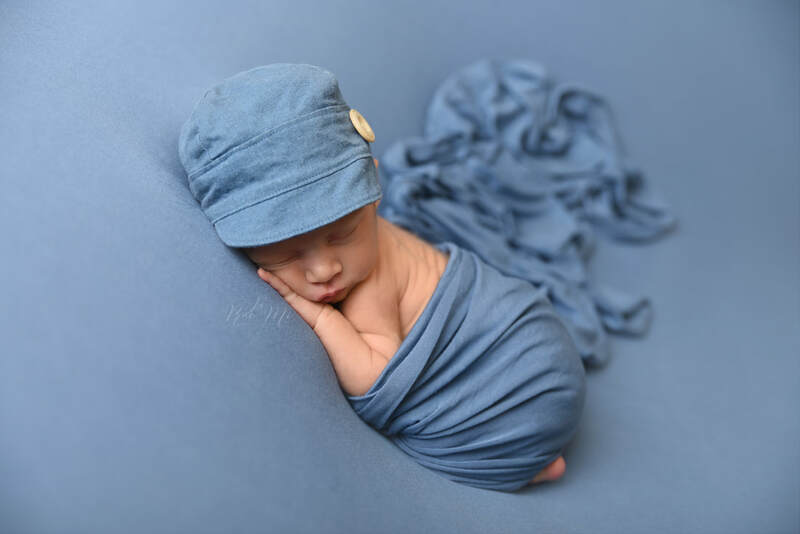 I recommend that you contact me to “schedule” your session before baby is born and ask that our new mamas contact us within a few days of baby being born to ensure that we can schedule the newborn photography session within two weeks of baby’s birth. During this time, they are the sleepiest and we are able to get those squishy baby images that we all love. If your little one has already been born, contact me today. I will do my best to fit you in! I offer studio- and home-based newborn sessions for your convenience. Studio sessions are available at Mommy's First Peek in Norco, CA. Newborn photo sessions take approximately 2-3 hours. I provide everything we will need for your baby's photography session (e.g., props, wraps, hats, and headbands). Following your session I will post a sneak peek on my Facebook or Instagram page. Please contact me with any additional questions. I look forward to photographing your new little one!